The Ombu is originally from South America and is also known as the “elephant tree” in English. It is said that the name originates from an indigenous Brazilian dialect and means “shadow”, which is why the tree is also known as “Bella Sombra” (“pretty shadow”). The tree can reach heights up to 15 m, and the thick trunk merges into massive roots, which stick out of the ground. The Plaça de la Reina is located at the lower end of the Passeig des Born, right next to the steps leading up to the Cathedral of Palma de Mallorca. The round square is dominated by a central fountain with flowerbeds and a spreading ombú. Even though it’s true that a lot of things lose their personalities over the years, the Plaça de la Reina has maintained its character and nature. The square is surrounded by interesting buildings, which are representative of the architecture of Palma. Its essence makes it one of Palma’s magical places, thanks to its characteristic colours, the sparkling water of its fountains and the shade provided by the Ombu tree. 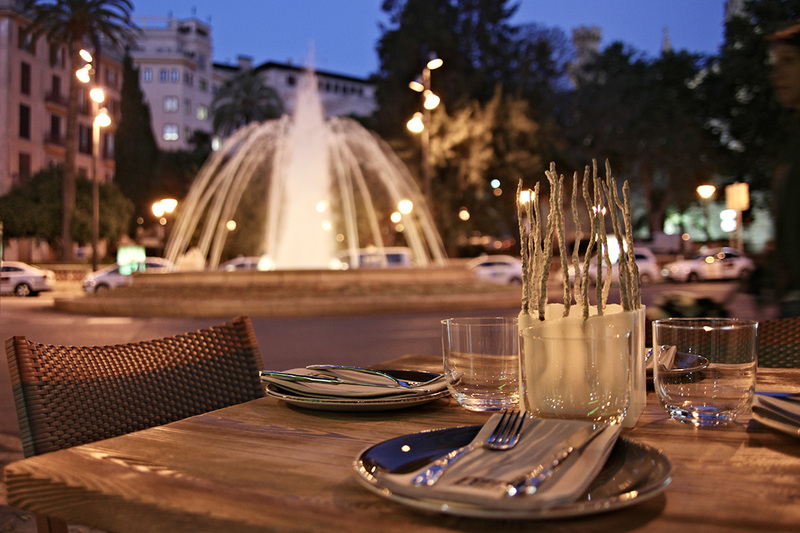 You can find us on one side of the Plaça de la Reina at the Ombu Restaurant. 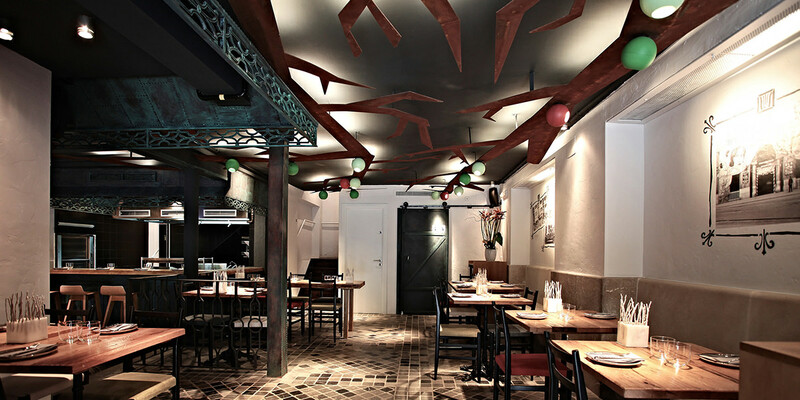 The restaurant is inspired by the essence of this beautiful area and by the Ombu tree in the square, the roots of which reach almost inside the restaurant. This tree is behind the concept of a magical restaurant in an equally magical square. 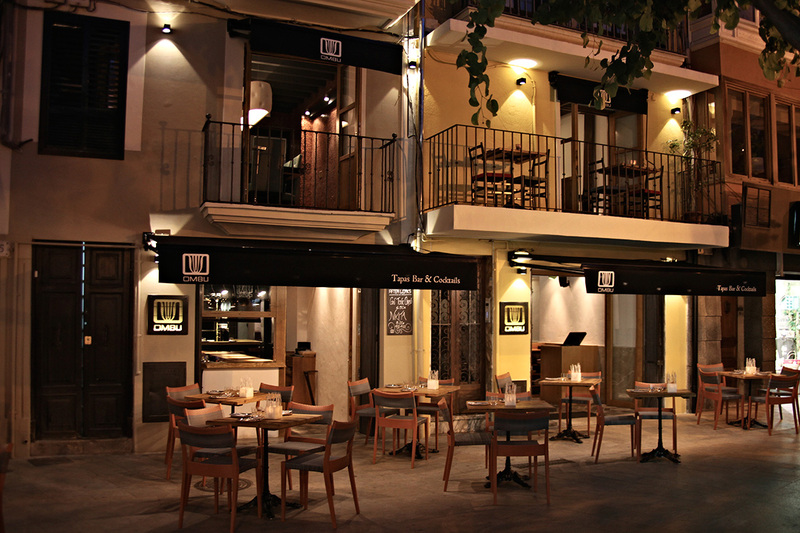 A restaurant with tapas and cocktails and with a slightly different gastronomical concept, with the aim of making an evening with good food into a singular and entertaining experience which will inspire you to return again and again.